The Union Minister for Minority Affairs, Shri Mukhtar Abbas Naqvi addressing at the National Seminar on Enhancing Opportunities through Social Engineering, in New Delhi on September 15, 2017. New Delhi: Union Minister for Minority Affairs Shri Mukhtar Abbas Naqvi today said here that the Government led by Prime Minister Shri Narendra Modi has been utilising the resources of the country through latest technology for welfare of the poor and weaker sections and fulfilling the vision of “New India”. Addressing at the National seminar on “Enhancing Opportunities through Social Engineering”organised by The Institution of Civil Engineers (India) in New Delhi, on the occasion of “Engineers’ Day”, Shri Naqvi said that “technology is a tool for transformation”. Shri Naqvi said that Indian technology and technocrats are one of the best in the world. Be it defence sector, infrastructure, Railway, space technology, India’s engineers and other technocrats have made the country proud through their talent. The Minister said that the Government has created a “vibrant and positive atmosphere” for technocrats and other professionals. He said that the Centre has been utilising various technologies to make people’s life more comfortable. Through technology, we have filled the gap between governance and the common people. Shri Naqvi said that the Government has been utilising the technology to ensure “leakage proof” and transparent system for welfare of the common man. India is moving towards becoming a “digital economy”. Money meant for welfare of the common people is being going directly to bank accounts through “Direct Benefit Transfer” (DBT). Crores of students are getting their scholarships directly into their bank accounts though DBT. The Minister said that engineers play a crucial role in nation building. Through their creative thinking and dedication and hard work, they give a new direction to the country. Shri Naqvi said that it is true that providing basic amenities and infrastructure is the responsibility of the Government. At the same time, engineers, doctors and other professionals have also a role to play in this regard. They can make the people’s life easier through their innovative ideas and fulfilling the vision of “New India”. 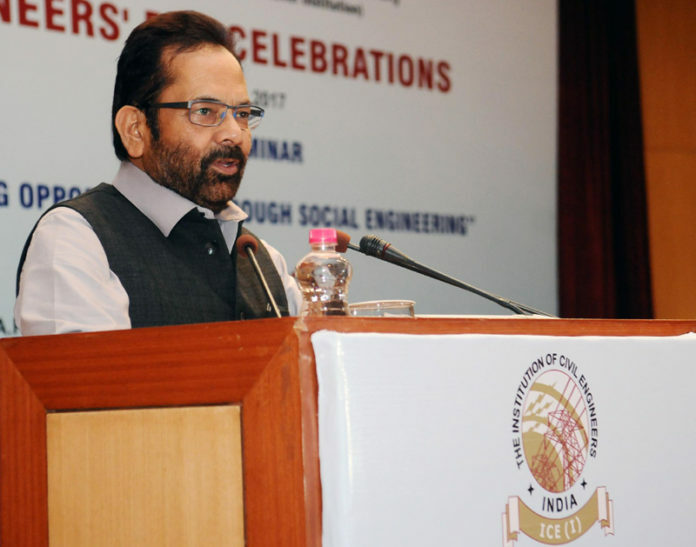 Shri Naqvi said that the Centre has ensured a better atmosphere for technocrats and other professionals. 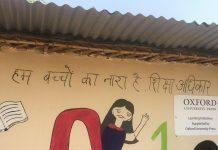 They are coming back to India and are contributing to the vision of “New India”.